We're not being shot at, except with occasional sideways glances and whispers from other skating moms. We're not oppressed. However, occasionally we are stressed, depressed, repressed, or over-dressed. We can relate to "Let them eat cake," because many times that may be all we get for breakfast, lunch and dinner during competition season, along with a vente Starbucks to wash it down! From time to time we battle absolute monarchies in the form of club officials, coaches and judges. Occasionally, the fight is "feudal." We may not have "masses in the streets," but we have blankets in the bleachers. Our "Reign of Terror" lasts anywhere from two to five minutes, depending on if it's a short program or a freeskate. Our "Bourbon Restoration" is more likely several glasses of wine. In skating terms, the Third Estate is another mortgage. Our "Book of Grievances" reads like "War and Peace." For us, the National Assembly convenes every January - usually in some close-to-impossible place to get to. Our National Constituent Assembly is usually preoccupied with constitutional affairs in the washroom - sometimes during competition, but more than likely at the ice resurface. There is no "Cult of Reason." Are you kidding me? This is skating! We probably know more about "Rise and Fall" than anyone because we've seen it every day in the rink, on every session and at every competition. We export our revolution to other rinks in other cities, states and countries on a regular basis. 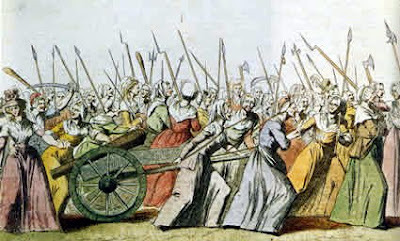 Unlike our distaff counterparts of 1793, we don't go on a rampage for rights. However, we have been known to "sack shops" and "seize grain" while flying through a local shopping mall. We have rarely, if ever, kidnapped officials (even if we've been sorely tempted!). 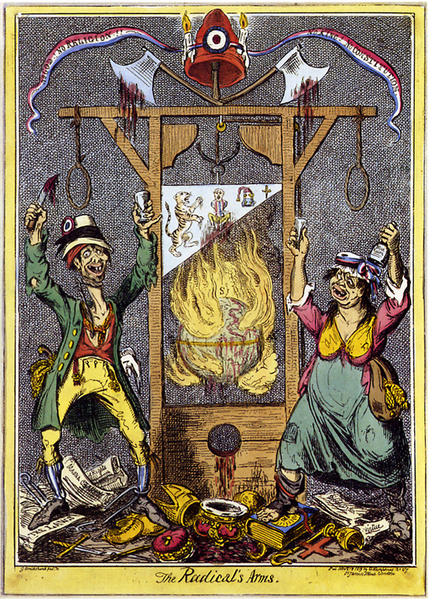 Finally, historians widely regard the Revolution as one of the most important events in human history. If that's the case, may I have an "AMEN"...with a high level of execution. A big amen here!!! Too funny!